Everybody knows and loves the American Songbook. But it's a bit less widely understood that in about 1950, this stream of great songs more or less dried up. All of a sudden, what came over the radio wasn t Gershwin, Porter, and Berlin, but Come on-a My House and How Much Is That Doggie in the Window? Elvis and rock and roll arrived a few years later, and at that point the game was truly up. What happened, and why? In The B Side, acclaimed cultural historian Ben Yagoda answers those questions in a fascinating piece of detective work. Drawing on previously untapped archival sources and on scores of interviews the voices include Randy Newman, Jimmy Webb, Linda Ronstadt, and Herb Alpert the book illuminates broad musical trends through a series of intertwined stories. 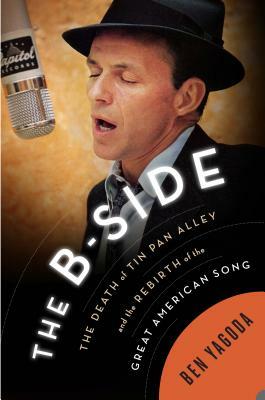 Among them are the battle between ASCAP and Broadcast Music, Inc.; the revolution in jazz after World War II; the impact of radio and then television; and the bitter, decades-long feud between Mitch Miller and Frank Sinatra. Ben Yagoda is a journalism professor at the University of Delaware. He is the author, coauthor, or editor of twelve books, including About Town: The New Yorker and the World It Made; How to Not Write Bad; Memoir: A History; and Will Rogers: A Biography. He contributes to The Chronicle of Higher Education s Lingua Franca blog and has written for Slate, The New York Times Magazine, Esquire, and The American Scholar, among other publications. Yagoda lives in Swarthmore, Pennsylvania, with his wife."